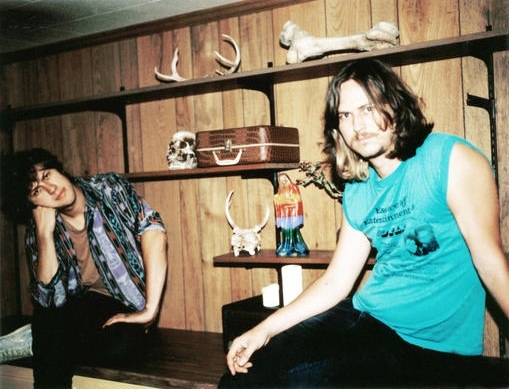 A lot has changed for Nashville duo JEFF the Brotherhood since their Bonnaroo debut in 2011. For one, they’ve fully graduated to Warner Bros. Records for the release of their latest, 2012’s breakthrough Hypnotic Nights (their previous album was also Warner distributed but with much less involvement). Though the band, consisting of real-life brothers Jake and Jamin Orrall, has existed in one form or another for around a decade, the past couple of years have really skyrocketed them onto the national radar. Prior to their last Bonnaroo date, they had generated a ton of buzz with a stop at SXSW, relentless touring, and their taste-making, DIY Nashville-based label Infinity Cat. Since that last Bonnaroo, they’ve appeared on multiple national television shows, their Dan Auerbach-produced Hypnotic Nights has become a critical hit, and the band has been heralded as the next big thing in Nashville rock music. Sure, JEFF might have graduated from their high school, DIY punk beginnings, but don’t write them off as another “sell out” or a major label attempt to recreate The Black Keys. For one, JEFF grew in popularity organically, retain all creative control in what they do, and they’re still heavily involved in Infinity Cat (just look at its list of alumni to see how much influence Orrall brothers have had on the Nashville scene). As far as The Black Keys thing? Sure, they’re from Nashville and a duo, and they can count The Keys among their many fans, but, musically, JEFF the Brotherhood are a whole different animal. At the age Dan Aurbach was likely obsessing over traditional blues, you’d have been much more likely to catch the Orrall brothers rocking to Fugazi (and don’t think they didn’t pick up a pointer or two from Dischord when mapping out Infinity Cat’s business model). The rest of the world is finally catching onto what Nashville has known for quite awhile now: JEFF the Brotherhood are one of the most interesting, promising, and exciting bands in modern rock music, and some of the most talented and seasoned performers making music today. If you don’t add them to your Bonnaroo agenda, you’ll be sorely missing out.